Below post was found through whatsApp. Its been verified. 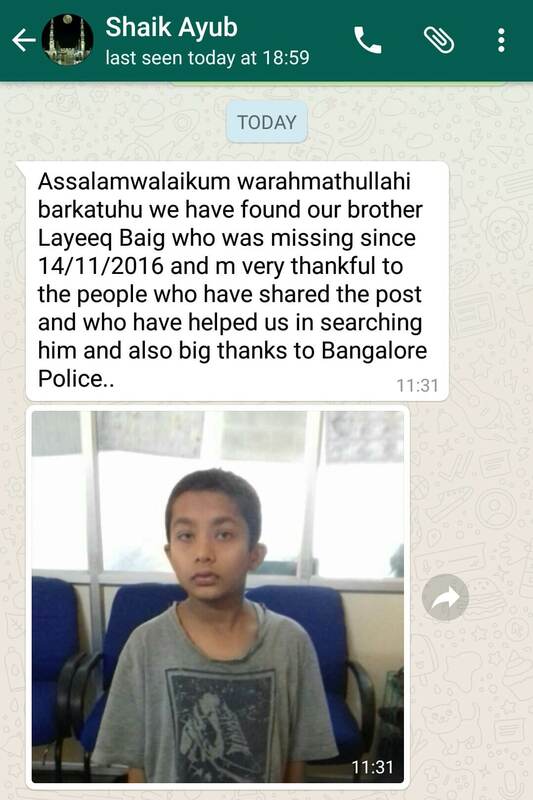 18 Nov 2016: We got a message from the contact saying that the kid is found. 15 Nov 2016: Got the post on whatsApp. Its a case known to friends of our network. 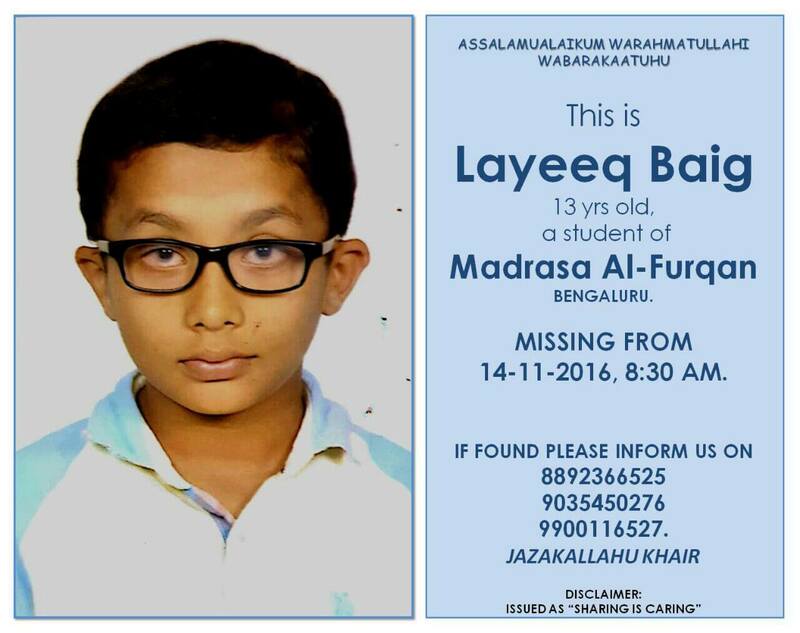 We shall keep in touch with the contacts to share the updates here.